Ray will again be sharing his expertise with us regularly. 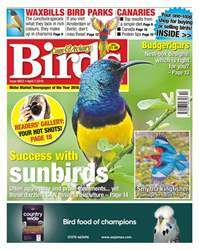 ■ With spring at hand and young birds on all our minds, there’s a particularly cheery selection of your photos on page 6. 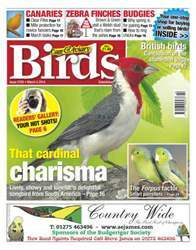 If you’d like to share your bird pics (whether pet or exhibition) with fellow readers, don’t be shy, pop them through! See that page for contact info. 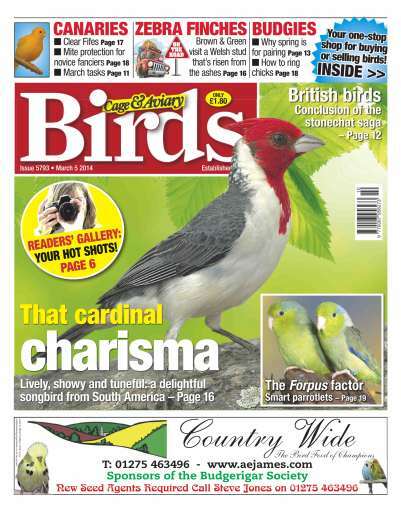 ■ Ed’s Ad of the Week: “Livingstone touraco, £130. 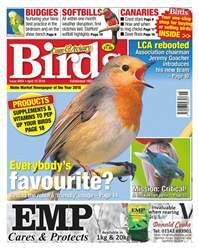 Male, 1994, DNA cert, part exchange for small laughing thrush species, Siberian thrushes or azure-winged magpies.” See page 29. Now there’s an intriguing deal in prospect! 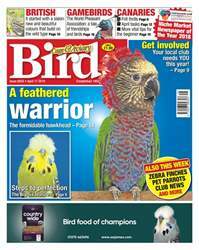 Enjoy your birds this week.